When dealing with necklaces, a crucial decision that we often find difficult for ourselves is how to choose the right necklace length, be it for a particular outfit or the best necklace length for us in general. This guide will help you determine your ideal necklace length and slay all your outfits like a style queen! There are different necklace lengths. Collar is a somewhat small necklace that lies tightly around the upper neck while choker is a bit bigger and rest at the back of the neck. 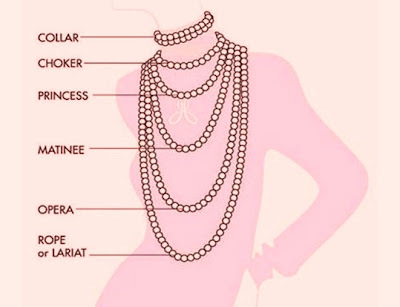 Princess length is the most common length for necklaces and can be found in almost everyone’s wardrobe. Matinee covers your chest and collarbones, therefore elongating the facial features. It is ideal for round faces. The rest just go longer and longer. Once you have knowledge as to what length suits you or your outfit, you won’t have any difficulty in deciding which one to choose. It is rather obvious that our face shapes play an important role in deciding what styles suit us best and neck chain lengths are a part of that list. So, determining your face shape can be useful if you’re planning on grabbing some neck pieces anytime soon. 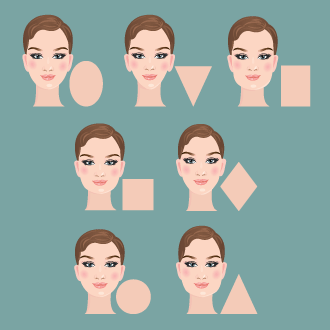 Basically, the trick is to go opposite of your face shape. For example, for round and square shaped faces, wearing longer chains is found to be the best as they elongate the natural features of those particular faces. Similarly, for oval or diamond shapes, smaller lengths will be best suited. Who knew how to choose the right necklace length was this fancy! Well, the picture says it all! 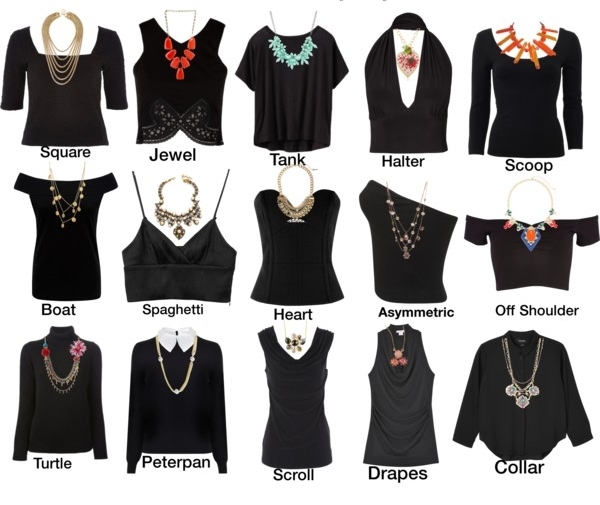 While figuring out how to choose the right necklace length for a particular outfit, keeping the neckline in mind is crucial. But, if you’re generally shopping, buying one small length neck chain and one of longer length will be best as then you’ll have a piece for every outfit. How to choose the right necklace length might be a bit easy for you now. Styling guides can help but the rest is up to you, always wear what you find best for yourself and feel free to ditch the guides anytime as there’s no guide more helpful than feeling confident in your own skin with whatever you wear! This entry was posted in Accessory Addiction, Add the Bling. Bookmark the permalink.